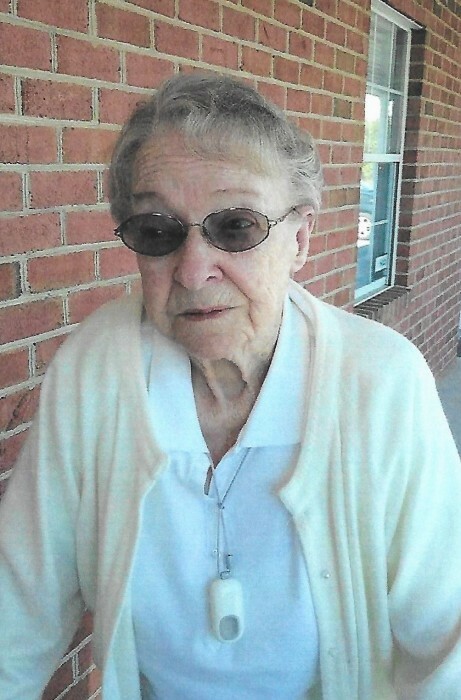 Williamsport, MD – Emojean Nora Moore, 97, of Williamsport, MD passed away on Monday, April 8, 2019 at Doey’s House Hagerstown, MD. She was born on February 18, 1922 in Romney, WV to the late Riley Burnett and Carson Lena Hott Shingleton. She was preceded in death by her husband, Ernest Benjamin Moore on October 19, 1988. Emojean was employed by Hesco Inc. of Hagerstown, MD for many years until her retirement. Prior to Hesco, she did housecleaning for several area families. She was a member of Rehoboth United Methodist Church Williamsport, MD where she helped with the Annual Ham and Turkey Dinners. Emojean enjoyed baking, working in her flower beds, spending time with her children and grandchildren. She always helped those who were less fortunate and in need. She is survived by her daughter Sandra L. Cunningham and her husband Richard of Hagerstown, MD; daughter Laura K. Eckard and her husband Bill of Hagerstown, MD; son James P. Foltz of Inwood, WV; 10 grandchildren; 13 great grandchildren; 2 great great grandsons; 1 great great granddaughter on the way. She was predeceased by four daughters Shelby J. Moore, Jeanne V. Edmonds, Ernestine E. Presgraves, and Carol A. Morgan; three granddaughters, and 1 great granddaughter. Funeral services will be held at Osborne Funeral Home 425 S. Conococheague St. Williamsport, MD on Friday, April 12, 2019 at 11:00 am with Rev. Michael Bennett officiating. The family will receive friends 1 hour prior to the service on Friday from 10:00-11:00 am. The funeral home will be open after 9:00 am on Friday for the convenience of family and friends. Interment will be in Rest Haven Cemetery Hagerstown, MD.